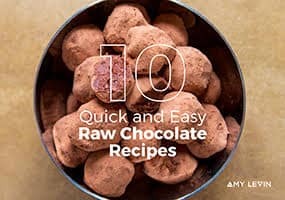 These raw chocolate truffles are fast and easy to make. 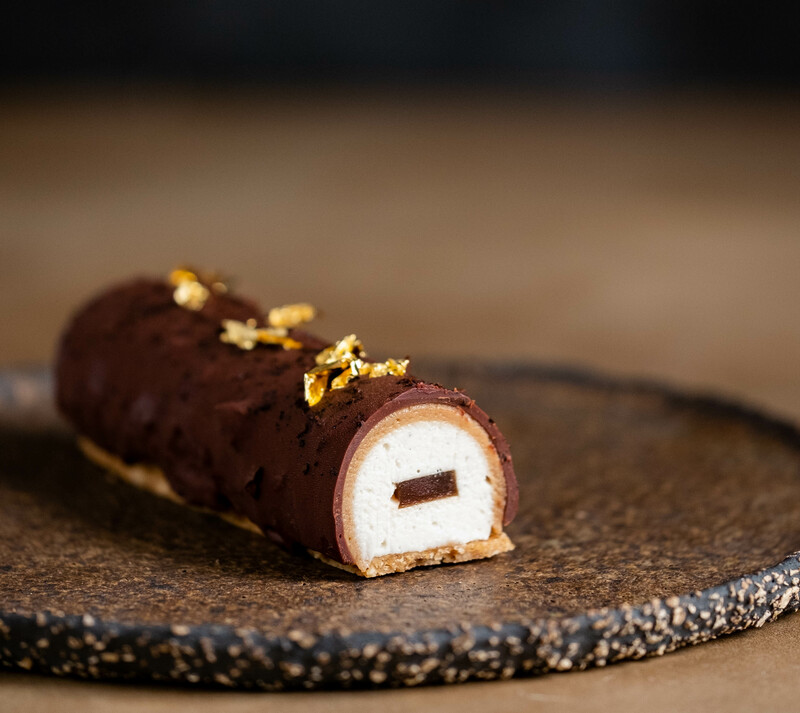 You can whip them up for an indulgent treat or, if you’ve got some friends coming over last minute, they make a wonderful accompaniment to a cup of tea. In fact, you could prepare the mix and invite your guests to roll them with you. 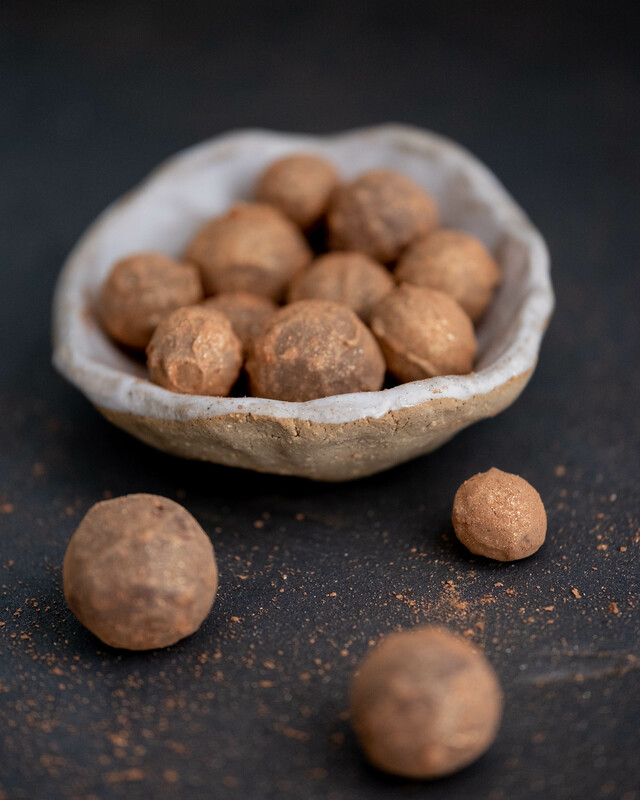 People love being involved and, this way, you can show them how easy it is to create healthy truffles. You can change this recipe up dozens of different ways by changing up the nut/seed butter, liquid (milk, water, juice, et al) and by adding some spices too. Leave the mix uncovered at room temp until it’s completely cooled. Wrap with plastic wrap, or transfer to a container, and place in the fridge for a few hours to set completely. Once set, dust your hands with a little cacao powder, or put on a pair of latex glove, and roll the mix into small balls. Don’t use too much cacao powder or the chocolate won’t stick to them when you go to enrobe them. Alternatively, you can simply dust them in cacao powder and call it a day, no need to enrobe. To enrobe them, place them back in the fridge to set up again while you get the chocolate ready. See the video below for a tutorial on how to enrobe and finish these chocolates. 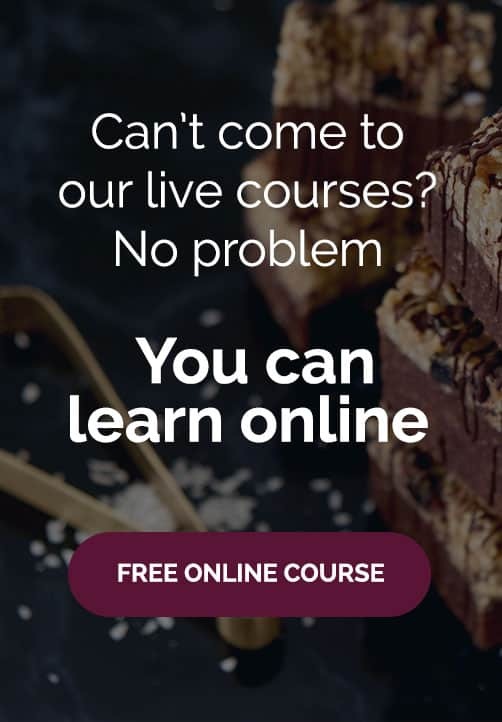 Click here to learn how to make your own chocolate from scratch and how to temper it like a pro for free!